Is The Soviet Union Making Progress? R.J. Rushdoony: 00:01 Is the Soviet Union making progress? This is R.J. Rushdoony with a report on our threatened freedom. The Soviet Union is well over 60 years of age now and it has been in existence long enough to solve a few problems perhaps. In 1932 when Sherwood Eddy as a true blue liberal visited the Soviet Union he was ready to forgive much with respect to the Soviet treatment of peasants and of workers. This visit was during the worst of Stalin’s purges. On August 4, 1932, Eddy wrote a letter of complaint to Stalin not about the mass murders of course, but on a matter much more serious to Eddy. R.J. Rushdoony: 00:52 There was not, he complained, and I quote, “A single piece of toilet paper” in any hotel room. How could a good American defend the Soviet Union when no toilet paper was provided to a man who had visited Russia nine times? There has been progress since then however. The citizens of the Soviet Union had a special Christmas present in December 1980. After 64 years the worker’s paradise had a new holiday gift plan, a major breakthrough in Soviet planning. This gift plan was toilet paper subscriptions. 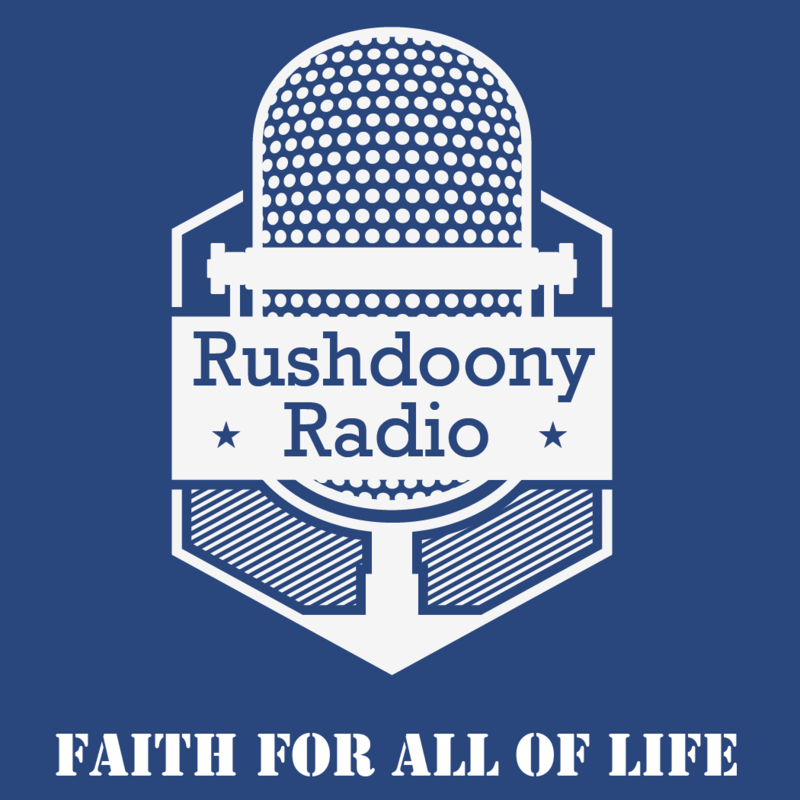 R.J. Rushdoony: 01:37 Now, these paid subscriptions did not actually give you toilet paper. All you got was a card giving you priority if and when your store had any in stock. Cardholders thus could stand first in line ahead of all others to get their toilet paper. According to one happy report by a good Marxist, “My mother enrolled for a subscription and she thinks it’s wonderful. She called me all excited and said, ‘I hope for the day that you too can buy toilet paper this way. '” Now I had wondered why our Federal government and the big New York banks had been so long busy aiding or lending money to the Soviet Union. R.J. Rushdoony: 02:32 It had always seemed a morally and economically unsound step to me. Now I can understand their thinking. An economy that after 64 years can develop toilet paper futures and have people happy over it is obviously a remarkable one. No wonder our bureaucrats admire the USSR. Washington D.C. is an amateur at fouling up things compared to Moscow in terms of any common sense. A national government as incompetent as the Soviet Union is hardly one to invest in. If after 64 years the USSR can not provide more than an occasional roll of toilet paper to its people it is obviously a failure. R.J. Rushdoony: 03:25 But what can we say about the United States, its Federal government and its banks? Any agency so foolish as to invest in a loser like the USSR is clearly determined to be a loser itself. None of the great bad investments of history are equal to this one. It is costing us billions of dollars and it is also costing us our freedom. Freedom and folly never mix and by pursuing a course of national folly we have been at the same time weakening our own freedom. The Soviet Union is obviously ruled by tyrants. Will we be remembered as a nation of fools? This has been R.J. Rushdoony with a report on our threatened freedom.